Here at Guyatt House, in association with Armenfitness, our aim is to provide quality personal training for people with a range of disabilities. We focus on your abilities, and as you as an individual. If you’re looking for a personal trainer who specialises in supporting people and you’re looking to get fit, you’re in the right place. We find out what you CAN do and apply all the rules of health and fitness in ways which work with our clients. We love to encourage people to start working out. We’re here to help you exercise in spite of your disability. Often as a result of this, we’ll see an improvement in your strength, balance, coordination, body composition and general physical ability. We’ll travel to your home or gym facility and take you through a structured routine based on you and your body. There IS no rule book. We had to throw it out the window a long time ago. Each and every disability has its own quirks and hurdles. 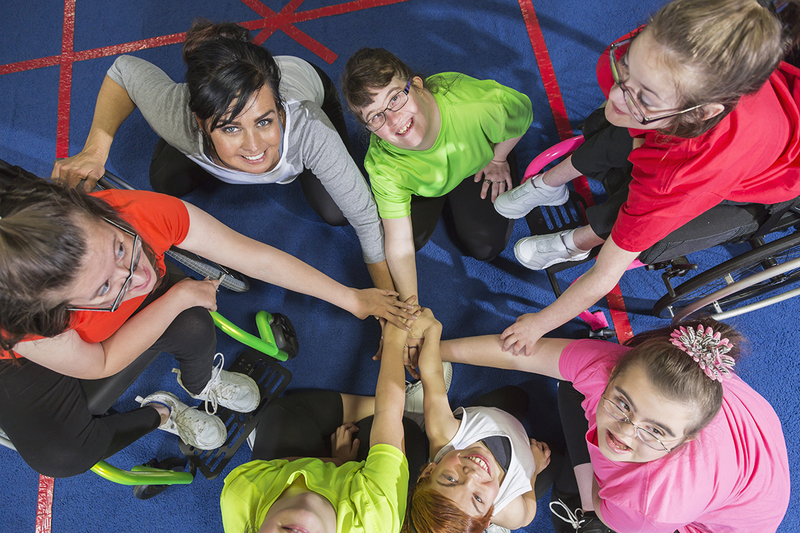 Each and every person with a specific disability can vary massively in their level of ability or symptoms, so we can’t simply use a pre-written programme. We have to carefully consider, adapt and create bespoke exercises to suit you, in order to get the most from our sessions together. Personal Training for a person who has a disability can undoubtedly be more challenging for both the client and the trainer. 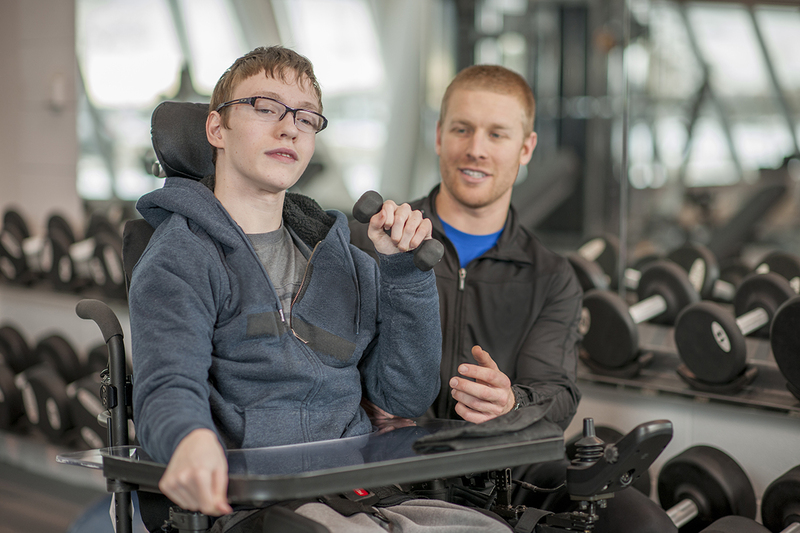 Most personal trainers are unable to adapt their training techniques to the needs of those with disabilities. This is a shame because really, all it takes is a bit of thinking outside the box, a bit of research into the various conditions and a bit of care and consideration for the person trying to improve their fitness. At Armenfitness, we decided to move into training people with disabilities, because there are many people who simply are unable to achieve good health and fitness. This could be for a range of issues; complex needs, specialism, adapted programs, social care provision and also the cost associated with ongoing fitness. We feel this isn’t fair, so we wanted to play our part to bring about change. Eloise joined Guyatt House as a Support Worker in April 2017, where prior to this she spent three years creating and building her fitness career. Since she embarked on her own successful weight loss journey, it became her dream to help others take their first step too. In 2015 she became a Level 2 Fitness Instructor before gaining a diploma in Advanced Sports Nutrition, qualifying as a Level 3 Personal Trainer and becoming a registered METAFIT coach. Eloise understands that health and fitness can be confusing for many people and that there is not a ‘one size fits all’ approach. That’s why she can offer a bespoke plan that is tailored to the individual and their personal goals. She believes that everyone should have the chance to be confident when exercising, and more importantly, to have fun with it! All sessions are subsidised by Guyatt House. You don’t need to be supported by us in terms of any care and support. Our session costs £24, to break this down you get 1:1 support for an hour at a rate of £16.00 and specialist personal training for £8.00, per hour. This way, fitness and training becomes achievable for everyone.